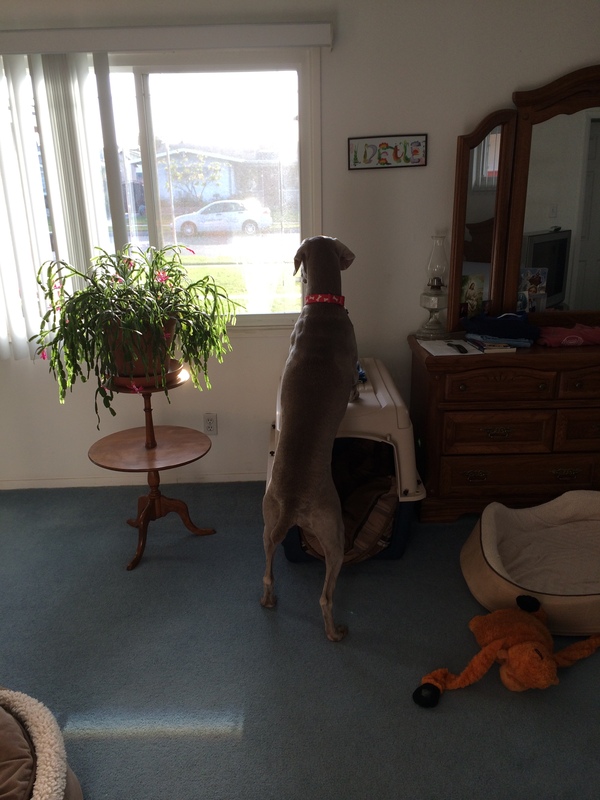 I think that all Weims must love looking out the window!! Lucy has the perfect perch with her feet on top of her house in our bedroom. She loves looking out that window that faces the front yard. I tell her that she is nosey just like grandma!! LOL! We loved seeing Lucy in your blog last week. I sent that out to my friends. It’s funny how it seems like everyone’s Weims just love looking out windows huh? Thank you, Idelle, for the lovely addition to the theme. 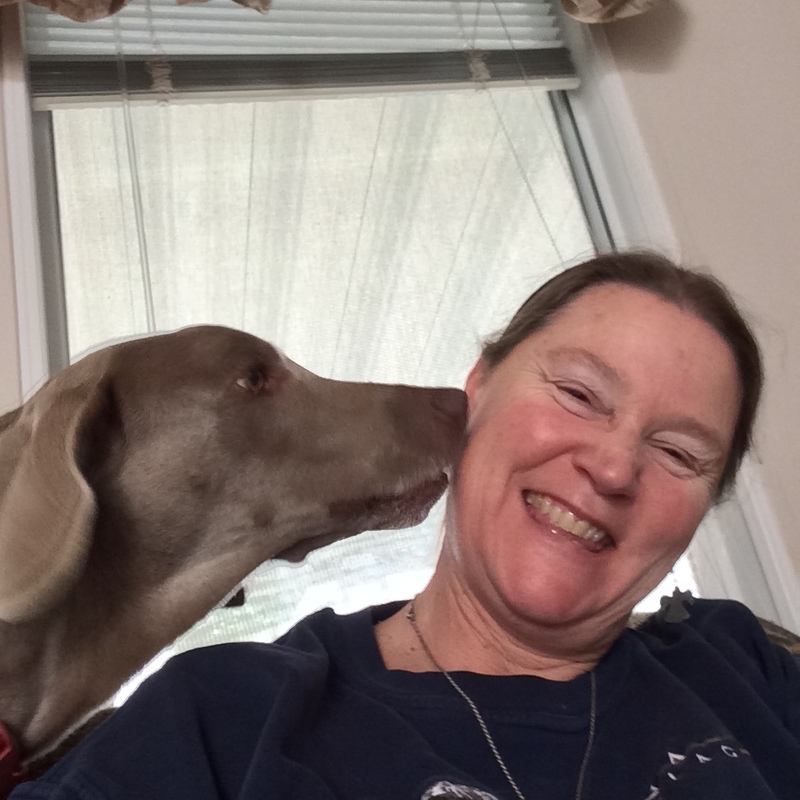 Weims take over our lives–this includes our household. The sofa, our favorite chair, the bed, an air vent, in front the fireplace, and anywhere else you enjoy. Would you have it any other way? No! Most certainly not. People are shocked at these clingy interactive critters. They are cagey, shrewd, and manipulative. Outsiders do not see the genius; however, we Weim folks know first hand what they are about–the relationship.